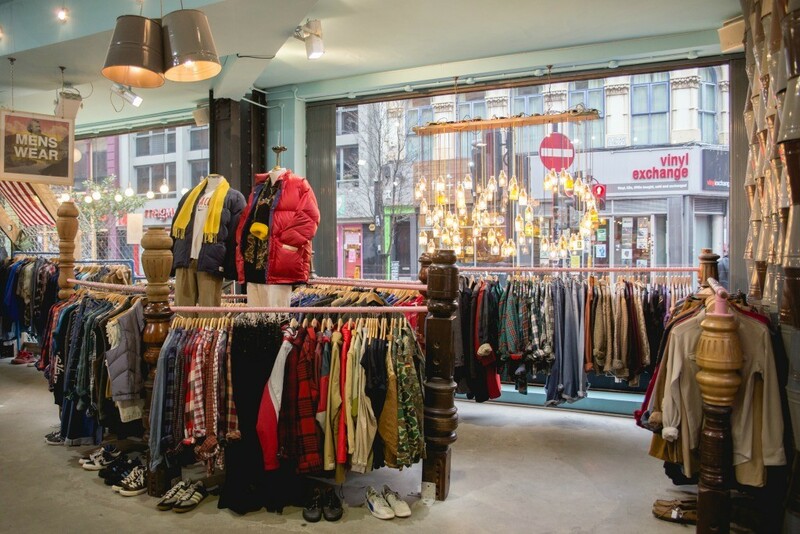 When it comes to second-hand fashion and going vintage, the UK is home to many charity shops with plenty of both boutique and chain second-hand stores dotted around the country. I have travelled far and wide across the UK to discover many of the best places to pick up little vintage bargains that no one else can find! So, if you’re thinking about going the extra mile (by literally going the extra mile) to find that unique piece, then here are my 5 best places to visit in the UK. Glasgow is well known for its amazing street style, so much so Vogue even did a magazine spread about it in 2014! With such incredibly stylish residents, it’s no wonder that their secondhand shops are up there at the top too! I’ve only visited Glasgow myself once or twice but the city is packed full of charming little vintage shops with cute names like “The Magpie’s Nest” and “Handbags and Gladrags” and a couple of very good charity shops for those unafraid to rummage through piles of old men’s t-shirts and sweaters. I am certainly not afraid to get down and have a good rummage, you find the best bits that way! Vintage shopping in Manchester has never been better! I suggest wandering around the fashionable Northern Quarter of the city, (particularly the side streets surrounding Thomas Street, Tib Street and Oldham Street) and stopping wherever takes your fancy. If you want a break from shopping you can also pop into some excellent coffee houses and old record shops scattered around the area as well, a great day out! Manchester’s vintage addicts will tell you that a shopping trip to Manchester isn’t complete without a visit to Affleck’s Palace. 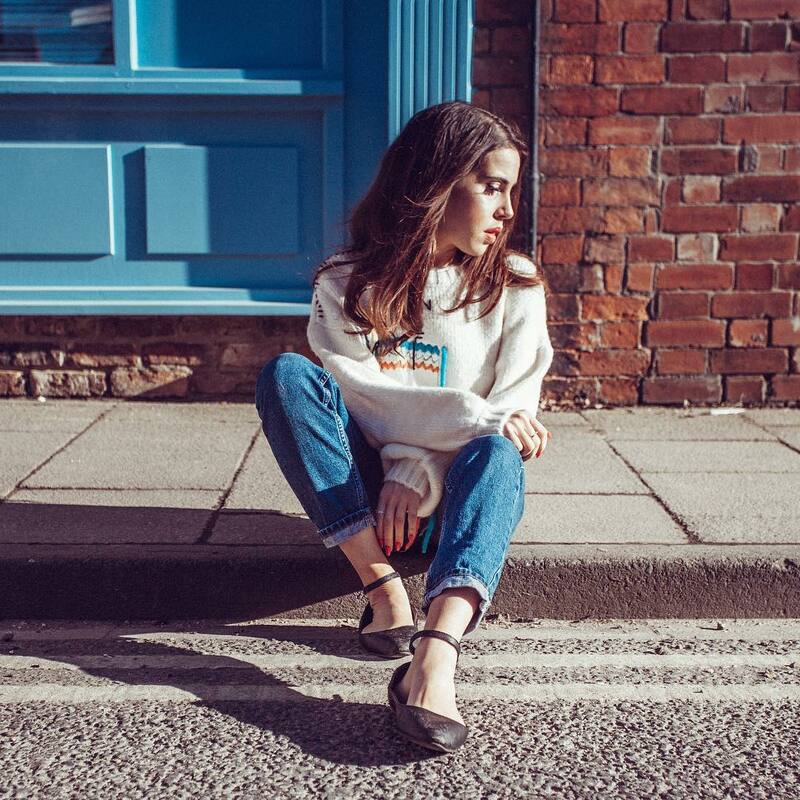 Dating back to the early 80s and housed in an old department store, you will find a maze of independent and vintage mini-stores that are an icon of the Manchester scene. Trust me you can spend hours in there! Belfast is full of charity shops that bring interest to any fashionista. I agree a charity shop means investing more time to sort through 80s nana sweaters and warped records, but this makes that special find all the more satisfying. 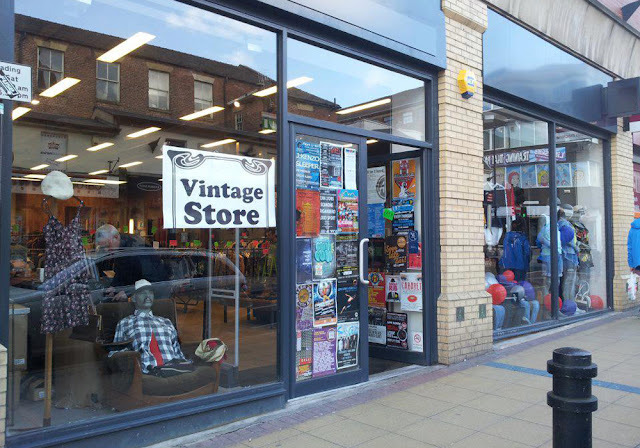 I’d suggest visiting any one of the city’s charity shops, (St Vincent de Paul, War on Want or Oxfam) for an adventurous and memorable shopping trip. Or if you’re looking for something a little bit more straightforward (which I normally am! ), the Rusty Zip is one of Belfast’s most popular charity shops. Its online platform has been growing for years now, even expanding into the world of online shopping. The shop, however, is not worth missing as its fun and quirky with ridiculously low prices! Now, I can’t talk about fashion hotspots without mentioning London, now can I? 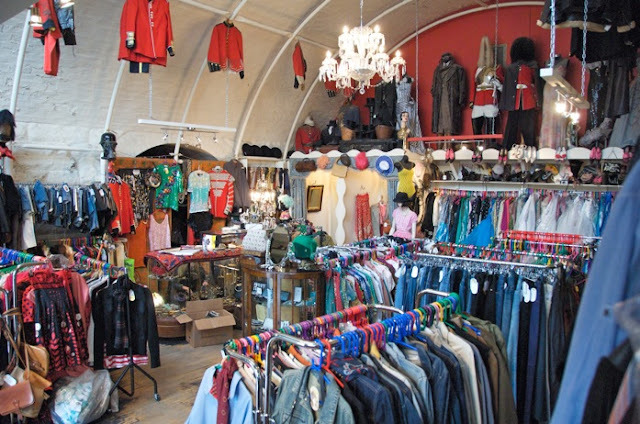 When it comes to vintage shopping the UK, it’s hard to beat London. It’s a Mecca for vintage fashion lovers with hidden treasures just waiting to be found. High street shops are fashionable but the prices can sometimes be too much for a young business women like myself, so a trip to Covent Garden, Camden Market, Soho or Shoreditch will certainly help you discover something incredible and reasonably priced. Kate Moss, one of my fashion idols, loves Rellik on Golbourne Street and you can tell why. With stunning gowns, pearls, designer shoes, bags and purses, Rellik prices can run on the expensive side. The store is gorgeously curated so that you can easily find a Yves St Laurent dress or a pair of Gucci pumps from 1964. It might not have the hipster cred of somewhere like Shoreditch but it is certainly the place to go for truly unique vintage designer pieces. Sheffield is also home to some great vintage fairs, which are definitely worth a visit if you happen to be in the area. Sheffield Does Vintage which is held at The Cutler’s Hall has racks and racks of fine vintage pieces, plus live music to add to the atmosphere. Lou Lou’s Vintage Fair was rated one of the best vintage fairs in the UK 2 years running with pieces from 1920-1990 and additional “vintage hair salon” for pin-up style updos or intricately braided victory rolls. Get there early to find the perfect hairstyle and dress combination and still have plenty of time to enjoy their afternoon tea selection! 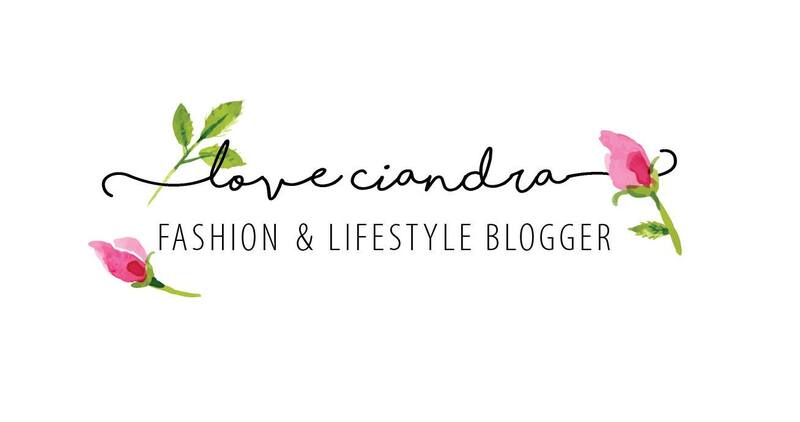 Hope you enjoyed reading and happy shopping!